Statistical release providing survey results on attitudes and knowledge of biodiversity and the natural environment from 2007 to 2011. This statistical release provides survey results on attitudes and knowledge related to biodiversity and the natural environment from 2007 to 2011. 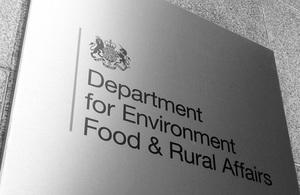 Results are based on 1,769 face to face interviews in England conducted in late March 2011, and similar surveys conducted in earlier years commissioned by the Department for Environment, Food and Rural Affairs (Defra).